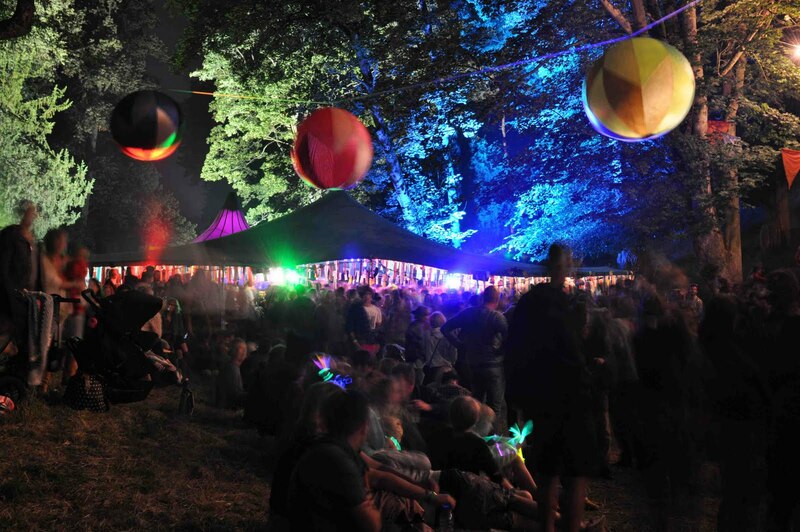 Flower Fairies and Fairy Cakes: Wilderness Festival - Family Ticket Giveaway! Wilderness Festival - Family Ticket Giveaway! Last year we were invited to attend, and then review the award winning and fabulous Wilderness Festival. We have been lucky enough to be invited back again this year, which we are really really excited about! Not only that, but also the organisers are offering a family ticket (2 adults and 2 children) as a competition prize to one of my readers. This year, the festival is taking place on 10-12th August at Cornbury Park Estate in Oxfordshire - the festival brings together music, food, theatre, talks and debates, cinematic happenings, late night parties, wellbeing and the great outdoors. This years line-up includes the likes of; Rodrigo y Gabriela, Wilco, Spiritualized, Lianne La Havas Yotam Ottolenghi, Fergus Henderson & St John, Valentine Warner, Moro restaurant, The Old Vic Tunnels, Cinematic spectaculars from Future Cinema, Workshops with the Idler Academy and School of Life, Lakeside Spa, boutique camping plus loads and loads of amazing stuff for kids! All you have to do to be in with a chance of winning a family ticket is to leave a comment at the end of this post saying why you would like to win these tickets. The competition will close on Friday 29th June 2012 at 9pm, when all entries will be placed into a draw and a winner picked out at random. Please remember to leave your contact details so that we are able to get in touch with you if you win. The tickets will be sent out direct from the organisers at Wilderness HQ. Visit www.wildernessfestival.com for further information about the festival. I'd like to win because I've never been to the Wilderness Festival and it sounds great! I'm off to go and start a rainy day fund so maybe I could go next year! I'd like to win because both our kids are addicted to the telly (and the iPad) but when we do get the chance to get them outside, they love it. I even spent two wet and freezing nights in a tent in our back garden in early april because our 5 year old wanted to go camping on his birthday! I'd love to win this as I was hoping to organise a family weekend there as a surprise for my husband whose birthday is on 11th August, but we're flat broke, so was very excited to see this competition! I'd like to win as my daughter loves live music and camping so this would be her dream come true. My Son Bryn is 7 months old so its about time I introduced him to the wonders of a festival! Me and my kids could do with some cheering up. * My partner moved out last week after I discovered adulterous behaviour. * We moved 85 miles away for his job in February so I don't have my family and friends around. * I now have no summer holiday to go on (we were going to go away with partner's relatives). * I am battling the mice in the house. It's great for the kids to get back to nature and down a dirty for a few days. They love the whole festival scene as well. I have never been to a festival and it is one of those things that I must do. This one sounds more about things other than just the music. It sounds good for children too. We haven't had a holiday since my eldest was born (almost 5 years ago). I used to love going to festivals and I would love to be able to go to a family friendly festival, letting the boys have loads of fun and freedom with us. I love that it isn't just about the music. I'm trying to make us less reliant on the telly and actually get outside, away from it all - like my own childhood; playing in the fields, woods and stream. I'd love to be able to meet with other like-minded families and make new friends who 'get it'. Most of it, it just sounds an amazing experience that I'd love my whole family to share. And who knows, it could be the start of something new in our everyday lives, too. I'd love to win tickets as my little family loves festivals but hasn't been to the wilderness festival and it sounds right up our street!! We'd love to win, as festival fun is a fantastic way to spend the weekend, and this festival looks great, though we've not been yet! I'd love to win tickets as i've only ever been to a festie pre family - I'd love to show my kids what a festival weekend is like! We'd like to come with you! I'd would love to win these tickets because the Wilderness Festival looks likes the place to be for a relaxed and diverse summer event. I'd love to win, as my partner begins her first term as a teacher not long afterwards, and I can't think of a better way to give her a send off. We would really love to win these tickets! Just missed out on going to Wilderness last year and would love to grasp this opportunity to finally make it there! Wilderness last year was the first ever trip that my partner and I went on together. It would be nostalgic to be able to go back again this year and realise how much we've grown together! I'd like these tickets to take my niece to her first festival she loves music and dancing! I would love to win these as the whole family loves camping and generally being outdoors! Id love to win these tickets as the festival sounds fantastic - I'm sure my two mokeys would have a whale of a time - we could really do with some quality family time together!! I'd like to win the tickets please because my kids are very polite and well behaved and I'm sure they would enjoy this event very much. Thanks. I would love to win as I have decided that this is the Summer we try a family festival for the first time. This looks a great one! Hi I tweeted and am following too! Fingers are crossed so tightly!! nothing beats the great outdoors in a stuning location. would love to go because Ive never been to a festival before and it looks really fun! love festivals and this sounds great music in the outdoors could even get the tent out and go camping. I'd love to have a really nice family-oriented day out in our local area. Hi In case you are interested please check this one out.. Rave Reviews from Renowned Experts and Leaders (Can’t believe this book is free this weekend. YOU DO NEED KINDLE AND CAN JUST DOWNLOAD THE FREE KINDLE APP TO READ THE BOOK ON YOUR PHONE OR COMPUTER.